Today, we’re excited to share that we are completing the acquisition of America’s largest bikeshare service, Motivate. Headquartered in New York City, the company is responsible for the growth of the country’s most ridden bikeshare systems, including: Citi Bike (New York), Ford GoBike (San Francisco Bay area), Divvy (Chicago), Bluebikes (Boston Metro area), Capital Bikeshare (Washington, D.C. metro area), BIKETOWN (Portland), CoGo (Columbus, Ohio), and Nice Ride (Minneapolis). Bikeshare is a natural extension of Lyft’s vision to improve transportation access, sustainability and affordability. The growth potential for bikeshare to transform the landscape of our cities is massive. The benefits of bikeshare are evident: It’s healthier. It can be faster. And it’s better for our planet. Yet we’ve only started to scratch the surface of what’s possible in shifting as a society from car trips to bike trips. With this acquisition, we are poised to help take bikeshare to the next level: adding thousands of bikes and stations in communities that haven’t had access to transportation; making bikeshare membership more convenient and affordable than ever; and deploying new electric bikes, on a major scale. Transportation Equity: provide affordable transportation and extend mobility to communities that have historically been underserved. Safe Streets: work with our city partners to help make Vision Zero a reality. Transit Integration: make it easy for riders to use bikes and scooters to connect to transit. Environmental Sustainability: shift riders away from unnecessary car trips. 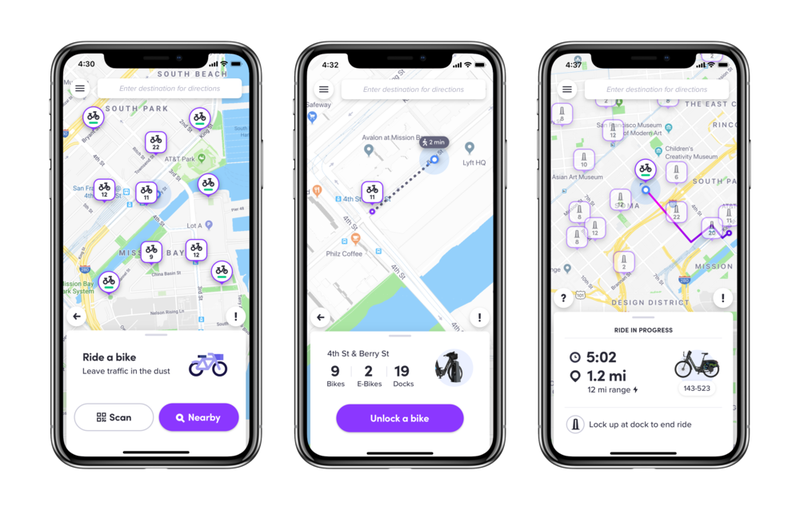 Lyft’s overall work with bikes and scooters will help us reach our goal of taking one million cars off the road by the end of 2019. We look forward to working closely with local communities to invest in and expand their bikeshare systems. This work is in addition to our recent transit integration, where we’ve added public transit information directly in-app and are working closely with 50 transit agencies across the nation. Together with our new Chief Policy Officer, Anthony Foxx, we will ensure that the future of our transportation infrastructure is more centered around people, pedestrians and cyclists, and less centered around cars.